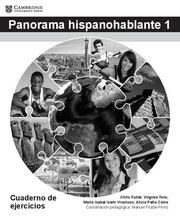 The Panorama hispanohablante suite covers everything you need for the two year ab initio Spanish course for the IB Diploma programme. 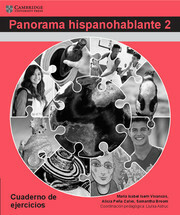 This workbook, only available for purchase in a pack of five, accompanies the Panorama hispanohablante 2 student book and is designed to prepare students for the ab initio Spanish course for the IB Diploma. 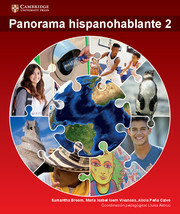 It is the second of two workbooks covering the two year course. The workbook contains exercises that give students extra practice in grammar and language use, and ties in very closely with the student book. 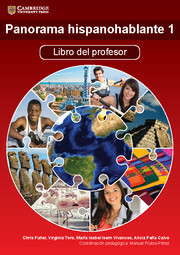 It is designed for students to write in and can be useful as a homework resource. Space is left for students to complete their answers. 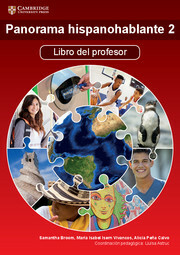 Units are closely tied to the corresponding chapter in the student book. Exercises in the workbook giving further practice on grammar and language covered are clearly and timely referenced within the student book.